In the classic film The Third Man starring Orson Welles, his sinister character Harry Lime jibes, “In Switzerland, they had brotherly love, five hundred years of democracy and peace, and what did that produce? The cuckoo clock.” In fact, Switzerland can also lay claim to “inventing” comics thanks to the pioneering albums of Rodolphe Töpffer (1799-1846), a teacher in Geneva. 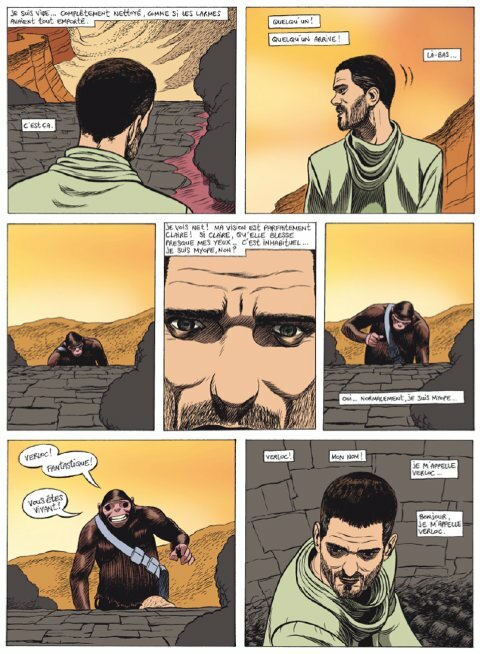 Nearly two centuries later, the Swiss capital is home today to a thriving graphic novel community and Frederik Peeters is one of its most daring exponents. 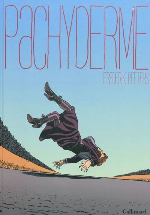 To avoid becoming clichéed or overprepared, Peeters prefers leaping into the unknown with each fresh project, whether in his candid, compelling breakthrough Blue Pills (in English from Jonathan Cape), his unsettling time-warp Sandcastle or his forthcoming psychodrama Pachyderme (both from SelfMadeHero). 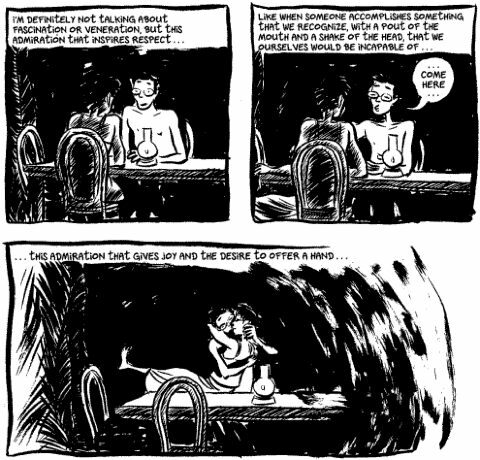 Autobiography, science fiction, crime, surrealism - whatever the genre, this versatile Swiss graphic novelist sidesteps formulas to keep surprising himself as much as his readers. 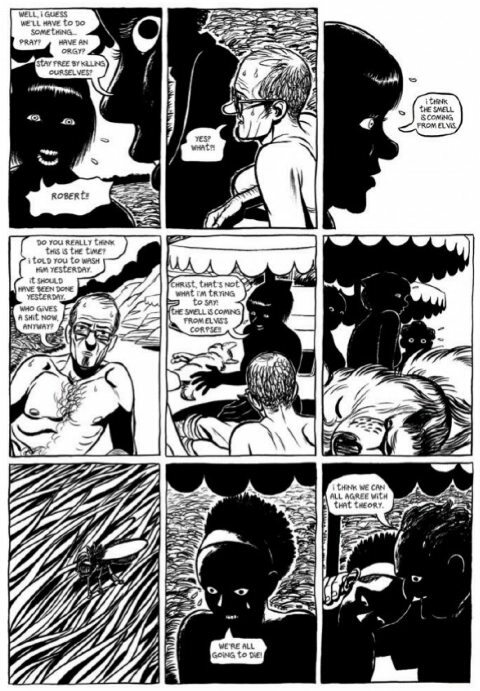 During a visit to London for last November’s Comica Festival, courtesy of SelfMadeHero and Pro Helvetia, Peeters discussed his career to date and things to come with me at a special Comica evening at Gosh! Comics. 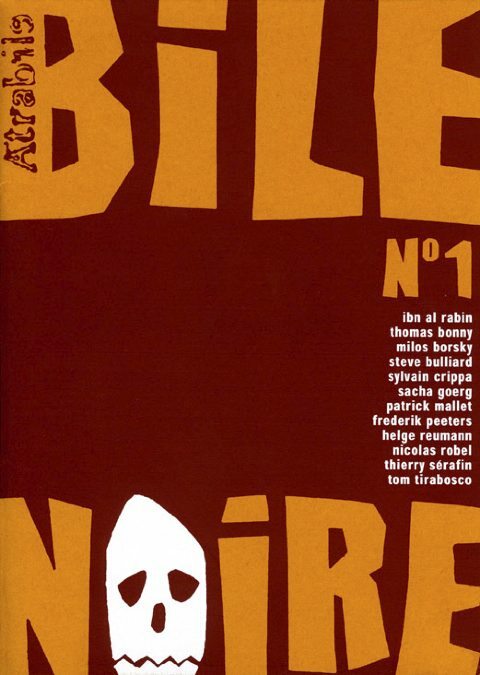 I first came across your short comics (compiled into Ruminations) originally in the Swiss anthology Bile Noire (‘Black Bile’) from Editions Atrabile - not the most upbeat of titles, really? That’s true! ‘Atrabile’ is the ancient word for the liquid in the body that was thought to cause melancholy, based on the theory of humours. We began in a basement when we were 18 making fanzines and things evolved. Atrabile is a very small structure, just three people, founded in 1997. We made cheap books, and then made very expensive books. I didn’t go to art school, I got a degree in Latin, which was useful for English and because I was passionate about history. After that I got a degree in visual communication, which was totally useless for me. 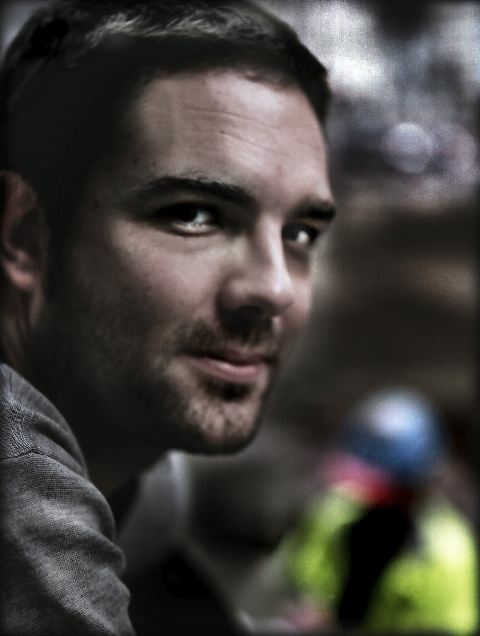 I never got near a pencil, it was all on computers and about marketing and so on. I drew when I was a child, like every child. The difference is that I never stopped. My mother has comics I made when I was seven and I was already telling my whole life. It was very boring so after four pages I became a superhero! 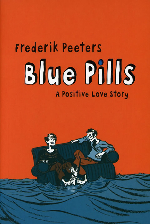 Years later, you did tell your life, of course, in Blue Pills (above) in 2001, a brave autobiography about your falling in love with a woman with AIDS. Blue Pills was not supposed to be a book. 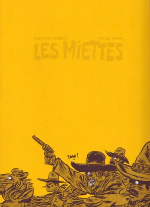 I had just finished Miettes (‘Crumbs’), a completely absurd story by Ibn Al Rabin about Swiss cowboys, and I wanted to cleanse and challenge myself. 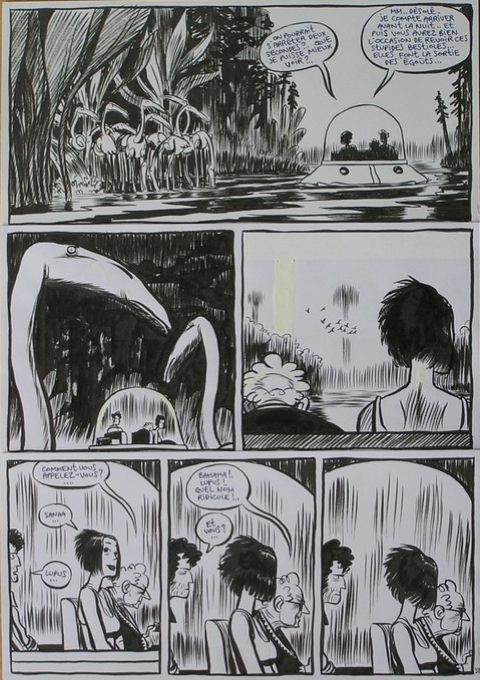 I needed a very close, obvious subject to draw fast without pencilling, writing directly in the comic strip language. I made the first 35 pages just for me. I was perplexed, so I showed them to Daniel Pellegrino at Atrabile. He said “Don’t change anything and if you need 500 pages, we will publish it.” That’s because he is not a publisher, he is a friend. My method has never changed since then. When I write the story myself, I always write directly onto the page, with no script. I write and then I storyboard as I go, sometimes page by page, sometimes sequence by sequence, but not planned ahead to the end. If something becomes very clear, I don’t restrain myself, I go with the flow. It’s a very exposed way of working without much preparation. Some images may be a bit corny in Blue Pills, like the part about the mammoth, but I probably couldn’t do the same thing today if I wanted to. It was like a strange three-month dream. Where were you in the relationship when you started Blue Pills? I started after one year of being in the relationship. So it was already established and most of the book is flashbacks and the real present time in the book comes at the end, when I’m waiting for her at the airport to take some vacation and put all this behind us. Dealing with something so personal, did you worry about you, your partner and her child being made public property? You have to understand, at that point I was selling only a few hundred books. So I thought it would be for my friends and a few journalists. If I had known, it would be been paralysing. It’s no accident that Blue Pills is my first book. I couldn’t have done the same book after this first success. I’ve not done autobiographical comics since. People keep trying to find autobiography in every book I do. Of course, I am using my real life and the lives of my family, friends or whatever to mix and change into my books. 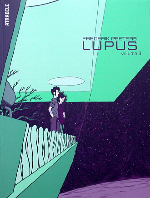 I was surprised to find you tackling science fiction next in your four-volume series Lupus (original art from the second volume, above). Yes, it’s science fiction, but not as we know it. It was another experiment, a refreshing way with the genre, I hope. I was inspired by writers like Ray Bradbury, J.G. Ballard, Brian Aldiss, Christopher Priest. 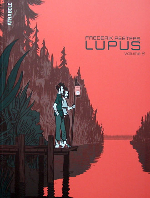 Growing up, I never knew these guys, I discovered them when I was making Lupus. It started from a joke with the Atrabile guys, when I suggested, instead of doing these autobiographical or strange little stories, we could launch a science fiction saga, like the major publishers were doing and making lots of money from them. We laughed at this idea. And then I decided to try it. But I had no idea in advance. 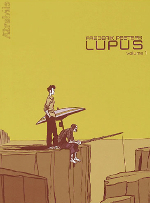 Lupus had no plot, it was completely improvised as I drew it. That’s why these books open with abstract panels, it was a way to begin. While drawing them, I had two or three hours of meditation to come up with the opening of the story. Then a sort of machine started up in my brain. If you know where you’re going, it becomes rapidly boring, and you lose the energy, the tension, so I like getting lost in space with the characters and finding home in the end. Four years later I woke up and had 400 pages of science fiction. 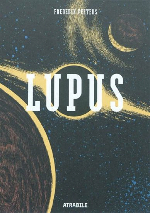 And the funniest thing was that, after all that, Lupus is still a vaguely autobiographical and bizarre story. The other reason for this method is that my real life is always polluting the story. For instance, in the second volume, the reader realises that the female character is pregnant, which I never knew before. I put it into the story because at that time my girlfriend became pregnant and I said, “Oh, I can use this”, the relation to the pregnancy, the newborn child. It was also very interesting to draw a pregnant woman, because she doesn’t move the same way. So I had my life model at home. How did your collaboration in 2010 on Sandcastle (above) with French documentary film-maker Pierre Oscar Lévy come about? Pierre called me because Blue Pills was love at first sight for him and he wanted to buy the movie rights. As part of his research, he came to our home to film us for two days. It was hard not to become a friend. He was 14 in 1968 in Paris and throwing cobblestones at the cops. 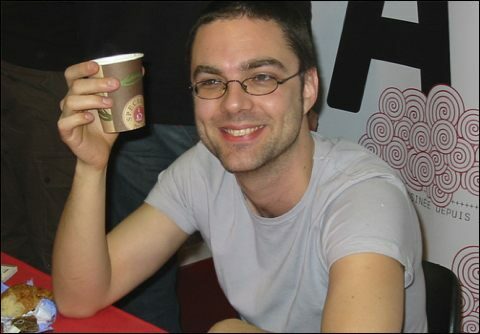 He’s a crazy, intellectual, left-wing French Jew, and helped me discover many interesting ideas, films and books. Later, Pierre said he’d written something especially for me. I prefer writing my own stories but agreed to read it and was immediately hooked. 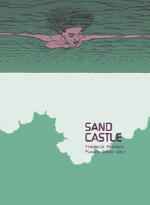 He’d written Sandcastle like a movie script, complete with dialogue and set descriptions. It had a complete ending but I felt it became less interesting when it was all explained, so I left it out. 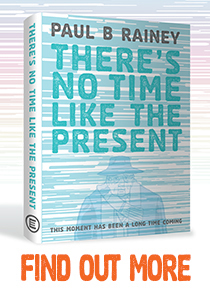 It’s a tale about the fourth dimension with a strong socio-critical and philosophical side to it. Pierre had written an ending and explanation to the mystery, but I dropped that as I prefer to keep it more enigmatic. 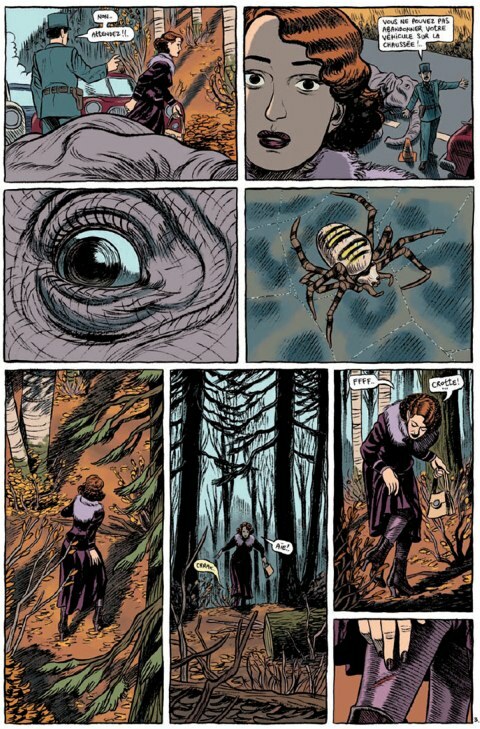 Tell me about your next book out in English this October, the decidedly strange Pachyderme (above). This is my homage to American comedy movies of the Thirties and Forties, though I don’t have the same level of wit as Billy Wilder or others from that period. It’s about a woman, a pianist, who is married to a diplomat in Switzerland in the Fifties and cannot have children, and a virtuoso alcoholic surgeon, who is a seducer and decadent. Something happens to her husband and she takes the opportunity to reclaim her freedom. Pachyderme is like a three-legged chair, it’s not comfortable or easy to read but I hope it leaves a lasting impression. It hovers between romanticism, espionage and dreamlike symbolism and it’s quite surreal with lots of illusions, so it’s another of my experiments. And right now you are immersed in yet another in Aama (above). 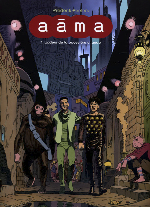 Yes, my publishers Gallimard don’t really do science fiction, so I pitched Aama as a new genre, blending hyper-technology with true science fiction, but written in a literary style with lots of text. 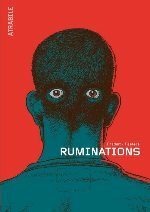 Gallimard have let me run with this story, for as long as it needs to be. 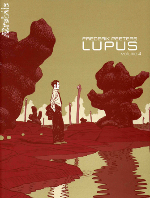 Unlike Lupus, I have a clear ending for this series, which I’ve used as the starting point, like in Wilder’s film Sunset Boulevard, by showing the character flat on the ground, weeping, his memory gone, and then going into flashbacks. I think it might sell well in the UK, because it features a monkey-robot named Churchill. This Article originally appeared in Comic Heroes Magazine.